Kärcher is the world’s leading provider of cleaning technology. In 2015, the family-owned enterprise achieved its highest ever turnover of EUR 2.22 billion and sold the highest number of units in the company’s history with 12.87 million machines. With high and ultra-high pressure washers, vacuums and steam cleaners, home and garden pumps, sweepers and floor scrubbers, vehicle washes, cleaning agents, dry ice blasters, drinking and waste water treatment plants, water dispensers and a telematics-based fleet management it offers a range of innovative problem solutions. These include coordinated products and accessories, along with advice and service. Alfred Kärcher GmbH & Co. KG employs 11,500 people in 60 countries. More than 50,000 service centres in all countries ensure continuous and comprehensive supplies to customers all over the world. Innovation is the company’s principal growth factor. Over 90% of its products have been in existence for five years or less. More than 900 engineers and technicians are engaged in designing new problem solutions at the cleaning equipment manufacturer’s development centres. Innovation has been a key element of the corporate culture ever since the company was founded in 1935. Alfred Kärcher, an engineer with a passion for invention, applied his inexhaustible creative drive and ingenuity to finding solutions to technical problems. Yet he never ignored his responsibility for his employees’ needs and concerns. That is why the company has always seen economic success and sustainable development as going hand in hand. Kärcher invests more than the average in research and development, in modern production methods and in high-quality apprenticeships and in-service training for its employees. 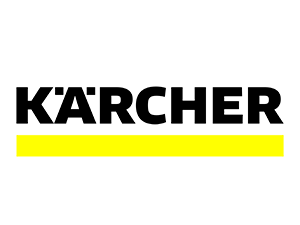 Over the past 35 years Kärcher has carried out over 100 cleaning projects on historic monuments, including the colonnades on St. Peter’s Square in Rome, the Brandenburg Gate in Berlin, the Statue of Christ in Rio de Janeiro, the over 3,300-year-old Colossi of Memnon in Luxor, Upper Egypt, and the US Presidents’ heads on Mount Rushmore, South Dakota. Cleaning is always undertaken in cooperation with monument conservationists, restorers and art historians.